We all have our daily makeup routines. I don't wear a whole lot of makeup, just enough to enhance and polish my face. There are certain products that I have been sticking to for years. Here is a look into my makeup routine. I start off with my foundation. 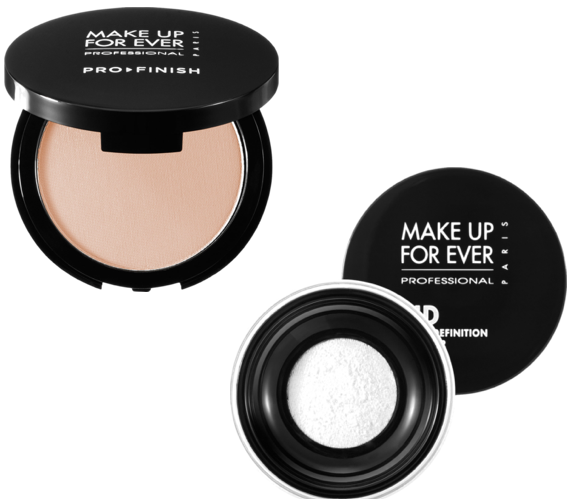 My favorite foundation is the Powder Foundation by Make Up Forever. Then I apply my favorite powder: The HD Pro Finish Powder. Both of these products are great for oily skin. Then I start on my eyes. I always use an eyeshadow primer. My favorite is by Urban Decay. It has a light shimmer and goes on without feeling heavy and sticky. I also love the eye shadows by Urban Decay. Midnight Cowboy is the color I use all over my eyes. 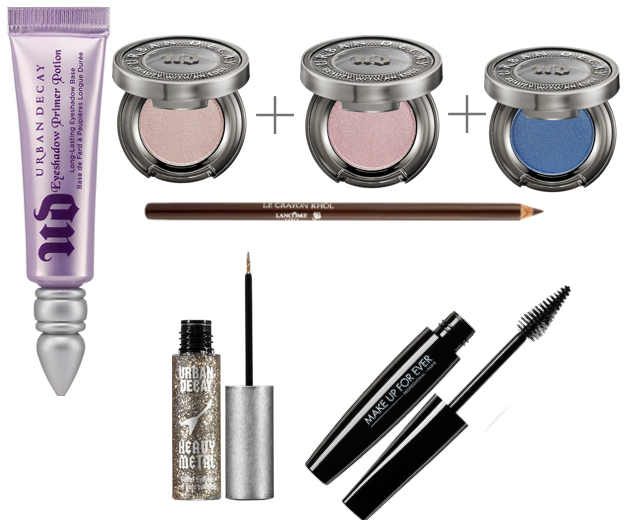 I also like to add a hint of pink (SWF) to my lids and a deep blue to the creases of my eyes (Radium). My favorite liner is the Le crayon by Lancome. I prefer brown liner, and I add a touch of glitter to it by lightly going over the liner with liquid glitter liner. My favorite Mascara for two years and running: Smoky Lash by Make Up Forever. 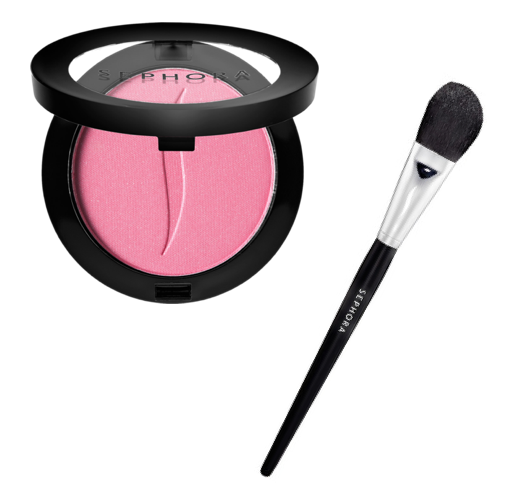 My favorite blush is by Sephora Brand. It lasts me forever! My favorite lip stick is my Chubby Stick by Clinique. The color lasts all day. I always have one to keep with my makeup and one for my purse. 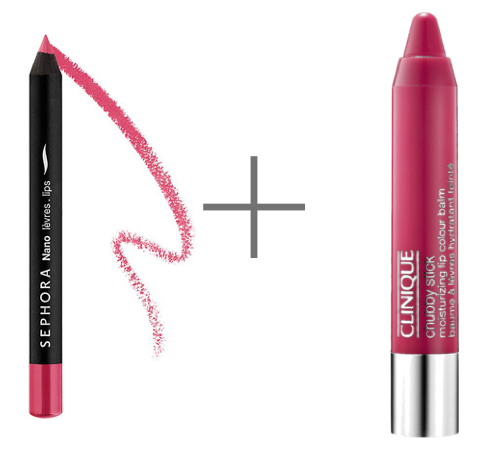 The Nano Liner by Sephora is the perfect match to my favorite chubby stick, Pudgy Peony. When taking off my makeup at night, I like to use the Bi-Facil remover by Lancome because I have so many bottles stocked up from free gifts. It is really great remover though! 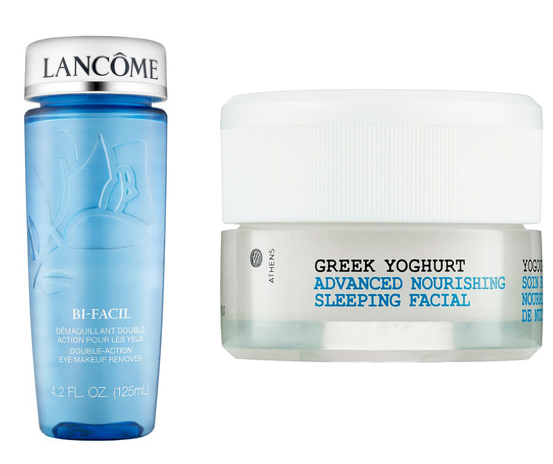 Greek Yoghurt Sleeping Facial is great for your face once all your makeup is off. It's nourishing and moisturizing. That's about it for my makeup routine! What are some of your favorite makeup products you use on a daily basis? That sleeping facial looks awesome (I need to try it out), love that heavy metal eye decal too, really pretty.